Tsulu Beach Bunkhouse has clean & comfortable colonial style accommodation, super friendly staff, a fun 'cannibal' style swimming pool & a beautiful man-made beach bar. 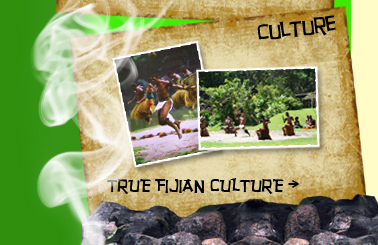 Nestled in the heart of the 'Adventure Capital of Fiji' with access to a huge range of activities including cultural shows & tours, big game fishing, world class diving, awesome surf, snorkeling, white water rafting, jet ski safari to name a few... You'll never run out of things to do & of course you can just laze around the pool. Restaurant, Internet Access, Linen Included, Bar, Towels, Luggage Storage, Swimming Pool, Telephone/Fax Facilities, Travel Desk/Travel Info, Common Room, Bike Parking, BBQ Area, Free Carpark, Gym, Air Conditioning. 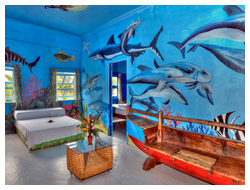 Pacific Harbour's Tsulu Bunkhouse & Apartments is quirky and fun. This brightly painted, A-framed building is about the first thing you notice when you arrive in town. Nestled among the conglomeration of shops and eateries that make up the Arts Village, entrance is via a thatch-roofed covered walkway over a lily-padded pond. All lodgings at Tsulu are up a flight of stairs (no disabled access) and branch off a large balcony. Two doors lead from this area - one into dormitory style rooms, the other down a hallway which houses four apartments. The rooms in the dormitory area are lovely and clean and the beds comfortable. There is a massive dormitory room furnished with plentiful bunk beds and lockers. Smaller rooms of two to three bunks encircle the common room. This central share room has a couple of lounge seats and a table and chairs. 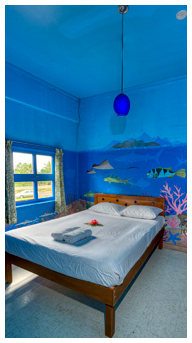 It is all very inviting, even if the décor is a little tacky and funny (island-themed murals adorning the walls). The bathroom is fabulously modern and sparkling clean and it has an abundance of shower and toilet cubicles -- it is doubtful anyone would ever have to queue. There is a long vanity bench with basins and mirrors that runs the length of the bathroom. 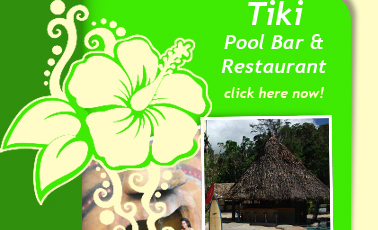 The property also offers apartments named Waterfall, Sunset, Jungle, and Ocean, they are decorated in appropriate themes. It is hard not to laugh when you walk in. The apartments that have more than one bedroom all have lockable doors. You can either book the entire apartment or book a room with access to shared facilities -- lounge room, kitchen, and bathroom. One apartment has its own balcony and two others have doors opening up to a shared balcony.